CAPE CANAVERAL — Taking advantage of available astronaut time, the International Space Station’s crew will cast off the commercial Orbital ATK Cygnus freighter on Sunday morning nearly six weeks ahead of schedule. The station’s Canadarm2 will release the craft around 9:10 a.m. EDT (1310 GMT), concluding a 43-day stay berthed to the underside of the Unity connecting hub. NASA Television’s live coverage and commentary of the departure begins at 8:30 a.m. EDT (1230 GMT). 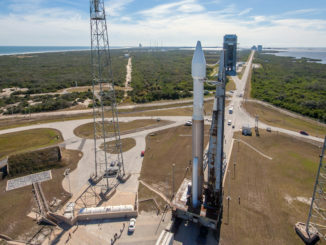 The Cygnus was propelled into space atop a United Launch Alliance Atlas 5 rocket on April 18 and arrived at the station April 22 to deliver 7,443 pounds of cargo, including more than 2,000 pounds of science experiments and hardware. 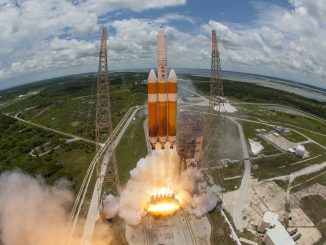 Originally, the craft was supposed to remain attached to the station through July 16. But in light of schedule changes, including Thursday’s weather scrub of the next SpaceX Dragon cargo ship’s launch, the decision was made to release Cygnus during this open window in timeline. “The vehicle is packed and essentially ready for departure. 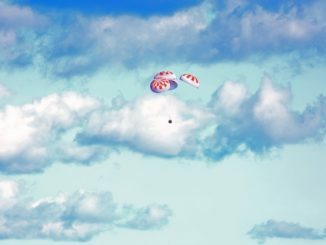 With Dragon’s arrival now delayed, a small window opened up that gave the crew enough time to complete the operation,” NASA spokesman Dan Huot said. The Dragon launched Saturday and arrives at the orbiting laboratory on Monday. Only two crew members currently staff the U.S. operating segment of the station — astronauts Peggy Whitson and Jack Fischer — following Friday’s landing of Expedition 51’s Thomas Pesquet. A full four-person USOS staffing won’t be seen again until the end of July. The Cygnus vessel has been filled with garbage and obsolete hardware to rid the station of no-longer-needed equipment, a key objective of every Orbital ATK mission. The hatchway to Cygnus was closed Saturday. Also, the craft will deploy four cubesats from an external deployer for meteorology and ship tracking after flight controllers at Orbital ATK’s center in Dulles, Virginia command the Cygnus spacecraft to burn its thrusters to raise the orbital altitude by about 50 additional miles. The ship will spend 7 days in orbit before disposal in the South Pacific next Sunday, June 11.